Even though temperatures are hovering in the upper 70s, you can still have a dog mushing experience during your visit to the Mat-Su Valley. From visiting with Iditarod champions to petting newborn huskies, Iditarod and dog mushing is a year-round event in Alaska. The Iditarod Trail Headquarters is located in Wasilla, and there, you can find a wealth of information about the history of the race, its champions and much more. A very good 30-minute video explains the science of dog mush ing, and Raymie Redington - Iditarod veteran and son of the late Joe Redington Sr. - is on hand to give cart rides with an actual Iditarod team. He also has puppies to love on during your visit. Several mushers also operate kennel tours, including champion Martin Buser in Big Lake and Vern Halter in Willow. During stops at those two businesses, visitors learn what it takes to compete in the Iditarod. At Vern Halter&apos;s Dream a Dream Dog Farm, you&apos;ll even have the opportunity to take a long cart ride with a team of huskies pulling an ATV through the woods. It&apos;s as if you are actually training the team during your stay there. At Knik River Lodge near Palmer, the Iditarod experience is immersive. 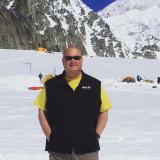 From the picturesque lodge, you helicopter out to a glacier, admiring the majestic views of the Chugach Mountains. Once on the glacier, you meet an Iditarod musher and his team, then harness the dogs and take a spin in the snow - even though it&apos;s the middle of summer. 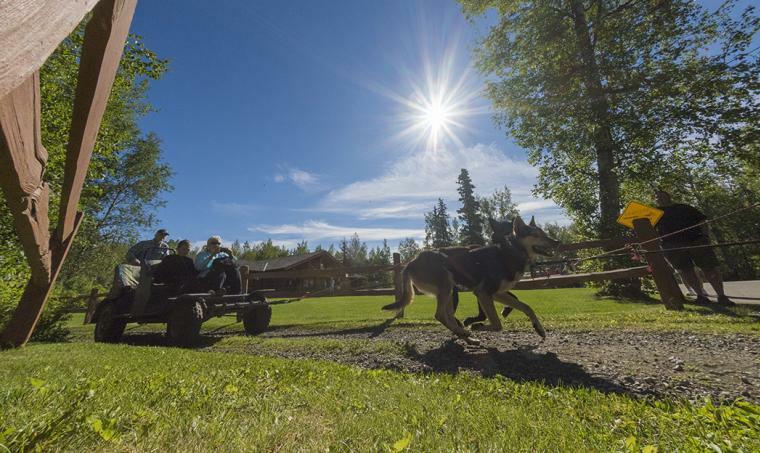 Just because you are visiting Alaska in the summer, don&apos;t forget to stop in at one of the many dog mushing attractions and learn about a race that is rooted in Alaska&apos;s rich history. Then, make plans to visit again in March, when you&apos;ll see the race begin on Willow Lake.